As part of The Indianapolis Public Library's strategic goal of introducing new immigrants and non-English speaking citizens to relevant community services and resources, the Library has joined with the Immigrant Welcome Center in Indianapolis to present the "Immigrant Welcome Center Mobile Branches" at several Indianapolis Public Library locations throughout the year. These free sessions allow immigrants to interact with Natural Helpers from the Immigrant Welcome Center who can help them connect with local resources, including those of the Library. Attendees can drop in anytime during the sessions to speak with Natural Helpers in such languages as Arabic, English, French, Karen, Kiswahili and Spanish. Tuesdays from 5 - 8 p.m.
Saturdays from 11 a.m. - 2 p.m.
Mondays from 4 - 7 p.m.
Mondays from 5 - 8 p.m.
Saturdays from 1 - 4 p.m.
Thursdays from 2:30 - 5:30 p.m. Call 317-275-4088 for more information about these free Library programs. Being an entrepreneur involves developing an array of varied skillsets, oftentimes very quickly! Here at SOURCE RW, we aim to provide entrepreneurs with easily accessible resources to learn new skills and identify “best practices” from local business owners providing their real world perspectives. In this spirit, SOURCE RW and Indiana Originals have teamed up to create a new educational series for Indianapolis entrepreneurs. Our three-part Summer Business Series, made up of standalone sessions that can be taken together or individually, will run June to August. The Series will present business tips from experts on a variety of fundamental topics. From how to use services and new technologies of the US Postal Service to making the most of digital marketing to boost online sales, to creating the perfect 30 second “elevator pitch”, the Series promises to identify useful and practical business ideas. The partnership between SOURCE RW and Indiana Originals is a natural one as Indiana Originals’ mission is “to create healthier, stronger communities and more jobs in Indiana by encouraging and facilitating a greater use of local, Indiana original businesses.” Here at SOURCE RW, we are all about small business growth and opportunity. Our Summer Business Series will provide valuable insights and information applicable to all small business owners. Participants are welcome to attend one, two, or all three parts of the series, but are asked to register in advance. To do so, and for more information, find us online at www.sourcerw.org. All workshops will take place at SOURCE RW, 2230 W. Michigan St.
Speaker, Faith McKinney, is a Hoosier who has worked for The USPS for over 29 years. One year ago she joined the Sales Team, which is a perfect fit for her personality and love of people. 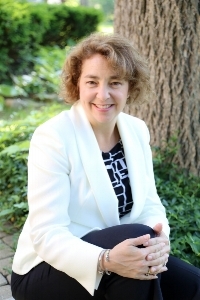 Faith has a lot of experience working with Small Business owners throughout the state of Indiana and offers a wealth of knowledge and resources. Faith lives in Indianapolis with her husband and daughter and is very proud of her newly married son and daughter-in-law. Fun fact: Faith loves skydiving! In 2013, Hickey re-branded his event services company into Pulp Functions, adding digital marketing strategy and management to the list of services they offered. Pulp Functions helps businesses achieve new business growth through tools such as targeted social media advertising, fresh website content and email marketing. 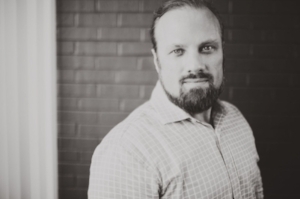 He spends the majority of his time developing new business and helping clients work through unique marketing challenges. Mel McMahon Stone is an entrepreneur, radio and television personality, and local business activist. 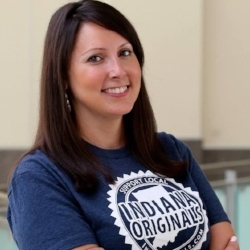 She and her husband, Lance, are the co-founders of Indiana Originals, a growing statewide directory of locally owned and operated businesses headquartered in Indiana. Mel is a board member of the Indiana Chapter of the TEARS Foundation and the Better Business Bureau of Central Indiana. She is currently heard on 93.1 WIBC, Country 97.1 HANK FM, and B105.7 and often seen on WISH-TV8’s Indy Style and Fox59’s Morning News. Regularly, we interview a successful SOURCE RW client to ask how SOURCE RW has impacted their business. 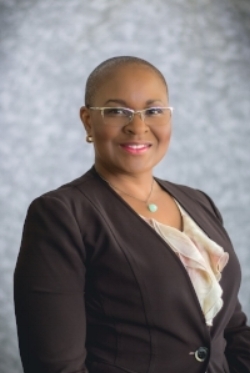 This month, we feature Teresa E. Tate-Lewis, CEO of West of the River Diversified, LLC. "Plan in pencil but dream in Ink!!! My return to Indianapolis’ Near West side where I grew up came from a desire to revitalize my family business and create business opportunities for family and friends while making a positive impact in the Haughville Community," says Teresa. Source RW is helping me to breathe life back into our family business. Their educational services and coaching have all pointed me in the right direction by empowering me with tools and information that will sustain our business for many years to come. My interest in becoming a community entrepreneur originally came from my father, Douglas D. Tate, Sr. He has always been active in the Haughville community and Tate's Barbershop has been somewhat of an icon in this community for over 50 years. My dad's passion to serve God's people essentially rubbed off on all of his 4 children in some capacity. Business ownership is very challenging, often times scary, but I think just knowing that you are charting your own life's course, while giving others the opportunity to chart theirs as well, makes the journey worthwhile. Getting others to see, invest and share in your vision has been the most daunting for me. Many times I've wanted to 'take my ball and go home,' so to speak, but entrepreneurship and making a positive impact on the community has been the life's work of my father, that I too feel compelled to continue. As a retired firefighter and now a VA nurse, I am aware of community need and I want my encore career to be one of service, but with me at the helm. Plan in pencil but dream in Ink!!! "The Strength is in the People!" was the quote that Dr. Toya Crain repeated as she opened the April 10th, Haughville Strong! Neighborhood Association (HSNA) Meeting. SOURCE RW was, again, present and engaged in efforts to improve opportunity within Indianapolis’ Near West. In their ongoing efforts to improve the quality of life for the residents of Haughville, the HSNA hosted an evening workshop for Haughville residents at Christamore House. Students of the Herron School of Art + Design at IUPUI facilitated the discussion and led the group through both creativity and neighborhood mapping exercises. Mapping was used to allow the group to identify the resources that can be utilized to support development initiatives, identify gaps in the neighborhood, assess the strengths and weaknesses of assets, and promote connections/relationships between family, neighbors, businesses, and community partners. 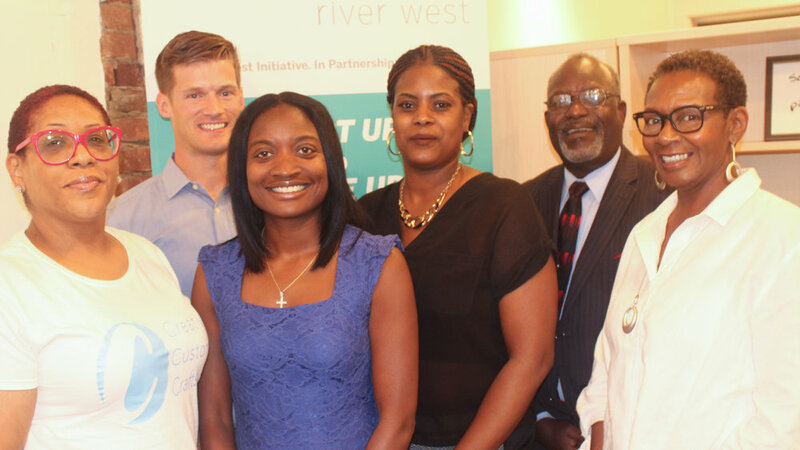 SOURCE RW joined in the conversation by mapping potential business opportunities and community partnerships within and between Haughville and throughout the Near West. HSNA plans to continue focusing on “workshop” style sessions rather than traditional meetings. All neighborhood residents, business owners, commercial/residential land and business owners and anyone interested in the success of Haughville and the Near West are welcome to attend. In upcoming sessions, Herron students will also be assisting the group in creating a community guidebook that will provide assistance in establishing and reestablishing overall community values. Haughville STRONG Neighborhood Association meets on the second Tuesday of every month at Christamore House at 5:30pm, located at 502 N Tremont St, Indianapolis, IN 46222. More information is available at nearwestindy.org/haughville.